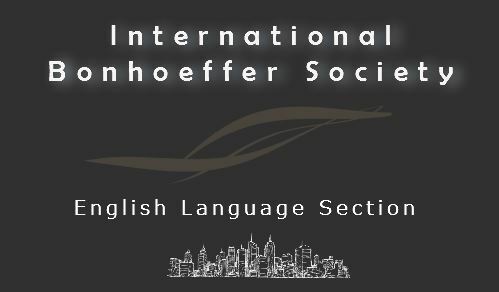 Comprising scholars and religious leaders from the United States, South Africa, New Zealand, Australia, Canada, and the United Kingdom, the purpose of the English Language Section of the International Bonhoeffer Society is to encourage critical scholarship in conversation with the theology, life, and legacy of the German pastor-theologian and Nazi resistor, Dietrich Bonhoeffer. While initiated in the United States, this statement expresses the concern, input, and support of our members in many countries that are demonstrating and protesting around the world.We speak noting that Dietrich Bonhoeffer himself taught the profound relatedness of all human persons and, indeed, of peoples and nations. We therefore feel called to raise our voices in support of justice and peace, and in resistance to every form of unjust discrimination and aggressive nationalism. The United States has undergone an unusually contentious, bitter, and ugly election that has brought us to an equally contentious, bitter, and ugly beginning of the presidency of Donald J. Trump. While it is impossible to predict what lies ahead, we are gravely concerned by the rise in hateful rhetoric and violence, the deep divisions and distrust in our country, and the weakening in respectful public discourse. Some of the institutions that have traditionally protected our freedoms are under threat. In particular, this election has made the most vulnerable members of our society, including people of color, members of the LGBTQ communities, Muslims, immigrants, refugees, the poor, and the marginally employed and the unemployed, feel even more vulnerable and disempowered. The German theologian and martyr Dietrich Bonhoeffer is quoted often in such times, for he spoke eloquently to such issues. His entire theological and political journey was shaped by his conviction that the church is only truly church when it lives for all God’s children in the world, and that Christians fulfill their faith as Christians only when we live for others. Members of the Bonhoeffer Society hope to make a faithful contribution to our society in this ominous time. In the coming time, we will seek to live such a life of witness, not only for the sake of our country, but because our Christian faith calls us to do so.